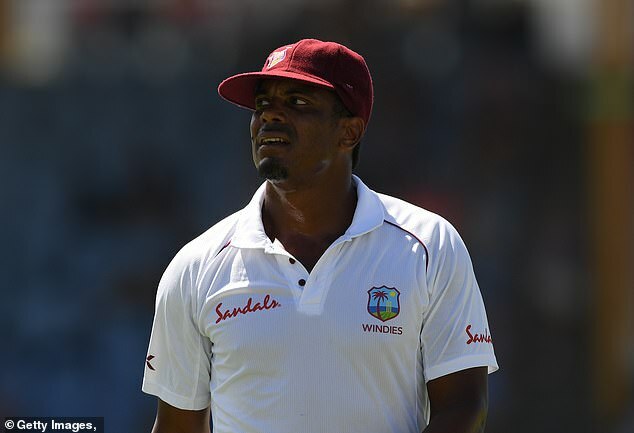 Shannon Gabriel will miss the first four matches of the West Indies’ one-day international series with England after accepting the International Cricket Council’s code of conduct charge against him. 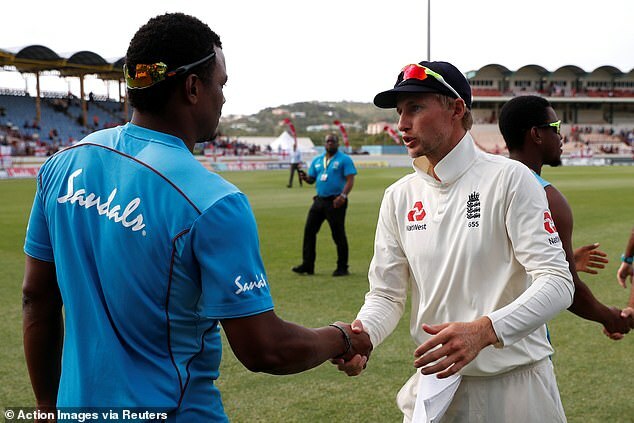 The bowler allegedly used the derogatory phrase ‘b**** boy’ during an on-field spat with England captain Joe Root during this week’s third Test in Saint Lucia. The use of the term prompted Root to say ‘don’t use that as an insult, there’s nothing wrong with being gay’ in response to Gabriel shortly after lunch on Monday. 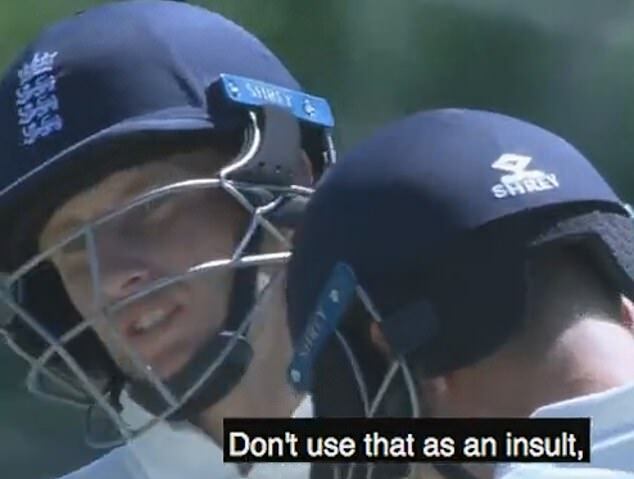 The ICC charged Gabriel, 30, with a breach of their code of conduct for homophobic abuse and the player has now accepted this. Gabriel has also been fined 75 per cent of his match fee for the third Test and handed three demerit points, taking his total to eight – enough to be banned for either four ODIs or one Test. 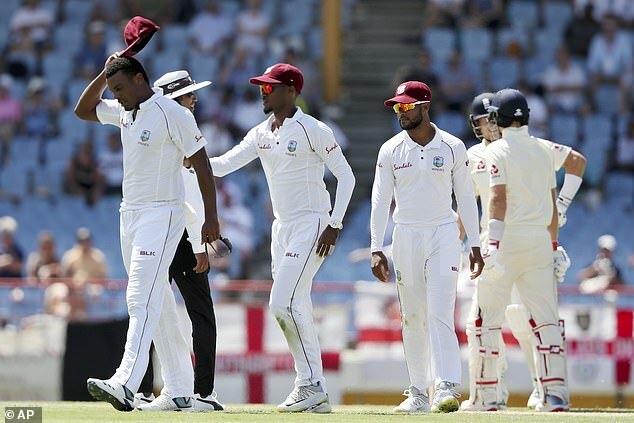 A statement released by the ICC on Wednesday read: ‘Windies player Shannon Gabriel has been suspended for the first four One Day Internationals of an upcoming five-match series against England. ‘Gabriel’s accumulated demerit points reached eight within a 24-month period following his latest breach of the ICC Code of Conduct, for which he received a 75 per cent fine and three demerit points. 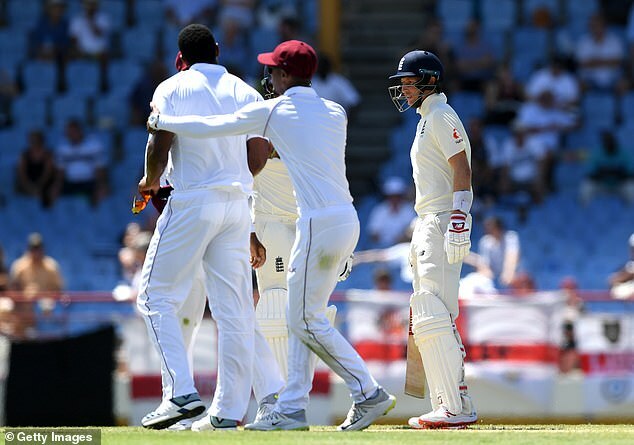 ‘During the third day of the St Lucia Test against England on Monday, Gabriel was found guilty of breaching article 2.13 of the ICC Code of Conduct for Players and Player Support Personnel, which relates to ‘personal abuse of a Player, Player Support Personnel, Umpire or Match Referee during an international match’, following an incident with England Captain Joe Root. On-field officials Rod Tucker and Kumar Dharmasena had until 24 hours after the flashpoint to take action. They reported at the close of play on Monday that they had dealt with the issue with a warning for the use of abusive language, but went back on that decision on Tuesday. 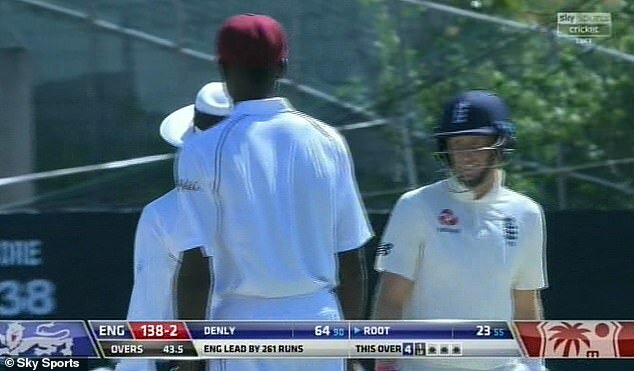 England travelling supporters in the Caribbean had the perfect riposte to Gabriel when he came out to bat on Tuesday. The Barmy Army sang ‘YMCA’ by the Village People and other gay anthems including ‘It’s Raining Men’ by The Weather Girls, ‘Gimme Gimme Gimme (a man after midnight)’ by ABBA and ‘A Little Respect’ by Erasure.